Thank you to all the volunteers who helped make Harbour Day a success! Thank you Patty Baker, Andrea & Mike Oliver, Katie & John Berrington, Jo Phillips, Paul Kelly, Tizzie Hurst, Mark Grinter, Mei & Stephen Baker, Peter Heyes and Robert Govier (and others!) 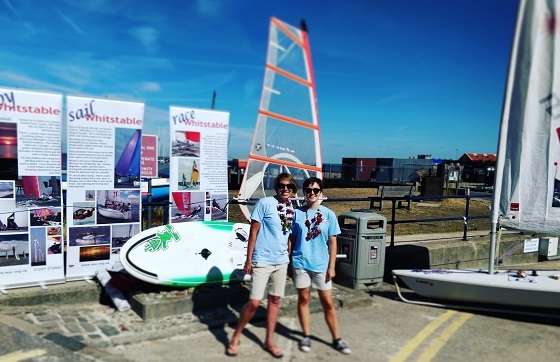 for manning the Harbour Day stand and talking to lots of visitors interested in sailing, windsurfing, training and membership! And a special thank you to Theresa Page and Karen Emery for cooking up a fantastic selection of cakes, which were all sold to raise funds for the club ramp!